Policemen using “black magic” rather than modern detection techniques and forensic science to investigate a murder — ironically of a social activist who stood up against superstitious beliefs — had led to the transfer of former Pune police commissioner Gulabrao Pol, senior NCP leader Ajit Pawar revealed Wednesday. Pawar said Pol was transferred “for use of superstitious practices” to investigate the murder of Dr Narendra Dabholkar. Pawar, who was deputy chief minister in the previous government, was making the revelation for the first time. Pol had taken offence at an earlier report published in a magazine making the same allegations. Pawar’s statement contradicts a report filed by the Maharashtra Police in September last year, which cleared Pol and said no superstitious practices were employed by police under his leadership. In July 2014, an article in Outlook magazine alleged that the police had used black magic to investigate the Dabholkar murder. “We did not approve use of old thinking to nab the accused … Therefore, we decided to change the Pune police commissioner,” Pawar told reporters. Despite repeated attempts to contact him on cellphone, Pol did not respond. At a press conference in Pune earlier, Pol had vehemently denied having resorted to black magic to find the murderers and threatened to file a Rs 100-crore defamation suit against Outlook. Pawar said the state government had deployed 19 teams to investigate the murder. “It was expected of the police to use the latest techniques to investigate the murder and identify the culprit but some officers used planchette for the purpose. 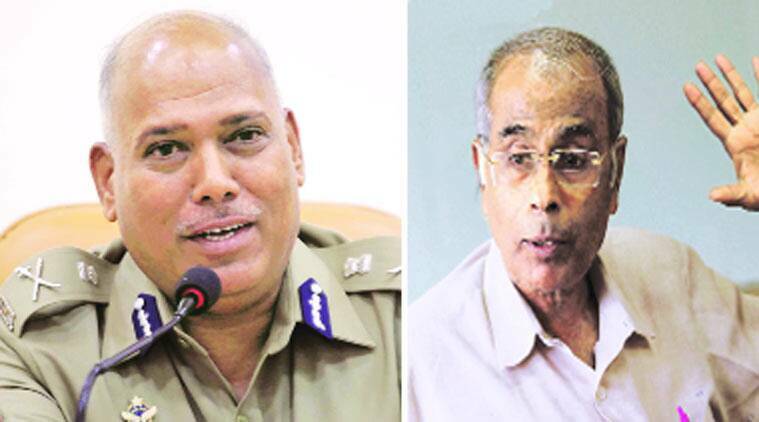 We did not like it and appointed a new police commissioner,” said Pawar. The police report concluded that Pol was not aware of what retired constable Manish Thakur had done at his place in Daund and concluded that there was no proof that superstitious acts were performed in the ante-room of Pol’s office at the Pune police commissionerate, as alleged by the magazine report. Dabholkar’s family members, and journalist-turned-AAP member Ashish Khetan — he filed the report in the magazine — alleged that the government had tried to cover up the matter. In videos released by Khetan, Pol was purportedly seen telling Khetan that he had met a policeman-turned-godman Manish Thakur who performed black magic and asked him to “call Dabholkar’s soul”. Dabholkar, was murdered in Pune on August 20, 2013. Pawar hit out at the BJP-led state government saying it had lost control over affairs of the state. “Those involved in illegal activities don’t have any fear of the government,” he said. Pawar said the chief minister handled the state home ministry and should work towards changing the system.